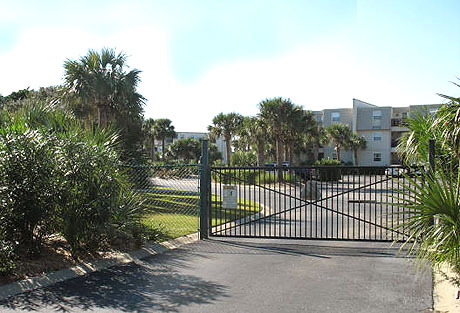 Of all the condo complexes in the Myrtle Beach area, the gated, private,Inlet Pointe condos in Garden City are the most unique. 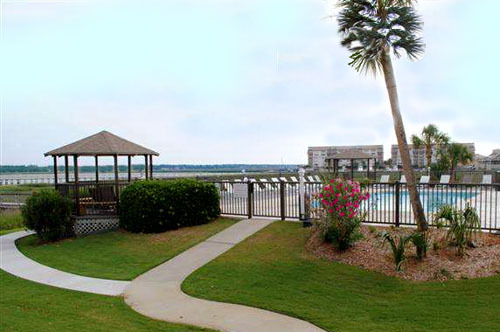 These luxury condos are across the street from the ocean, yet sit directly on Murrells Inlet in one of the most scenic and breathtaking areas. Your options for enjoying life are endless. Relax by the beautiful pool, walk over to the beach and soak in the sounds of the waves and seagulls. Love to go boating? 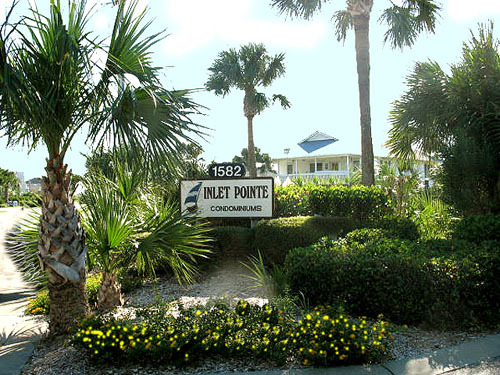 Inlet Pointe provides a 100 yard private boat dock. This section of Murrells Inlet is perfect for kayaking, canoes, fishing, and more. Take the boat directly across the water and you'll find the Murrells Inlet River Walk, nightclubs, and the best restaurants in the entire Grand Strand. If you manage to get tired of all this, head back up the road to the main part of Garden City and you'll find one of the best piers anywhere. Play games in the arcade or shop the beachwear stores. Just a short drive out to Hwy 17 will take you to malls, grocery stores, and everything else you need. The beautiful landscaping and common areas of the complex provide grills and picnic tables, laundry facilities, and a lifestyle that most people can only envy. If you'd like more information about these beautiful condos, Garden City real estate, or homes anywhere in the Myrtle Beach area, give us a call. 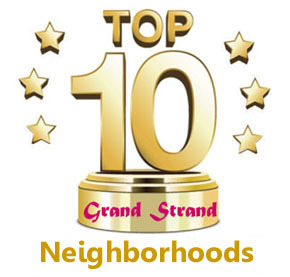 We will show you what living in the Grand Strand is all about.